Standard rooms feature a three quarter bed (perfect for one, or two people who are happy to be close) original wood flooring and simple but stylish furniture. Shared bathroom facilities on both floors. Larger rooms with a king size double bed or two single beds, original wood flooring, vintage furniture and lighting from bespoke interiors label Folk. 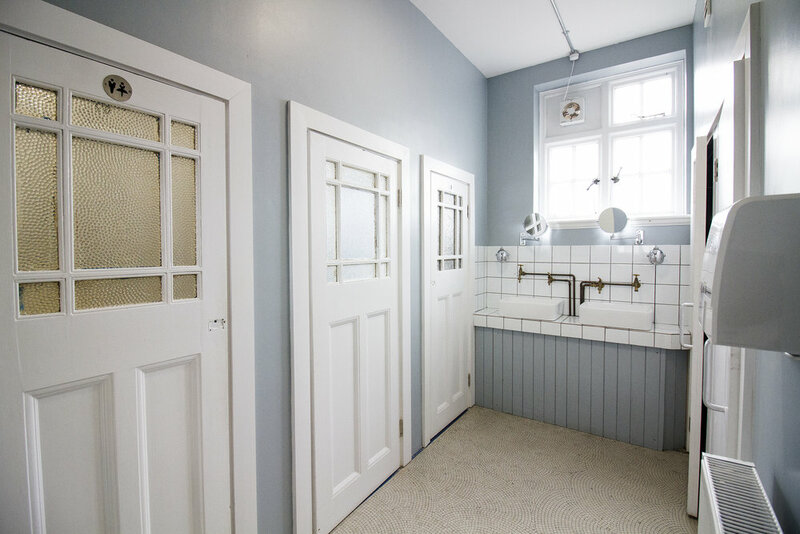 Shared bathroom facilities on both floors. 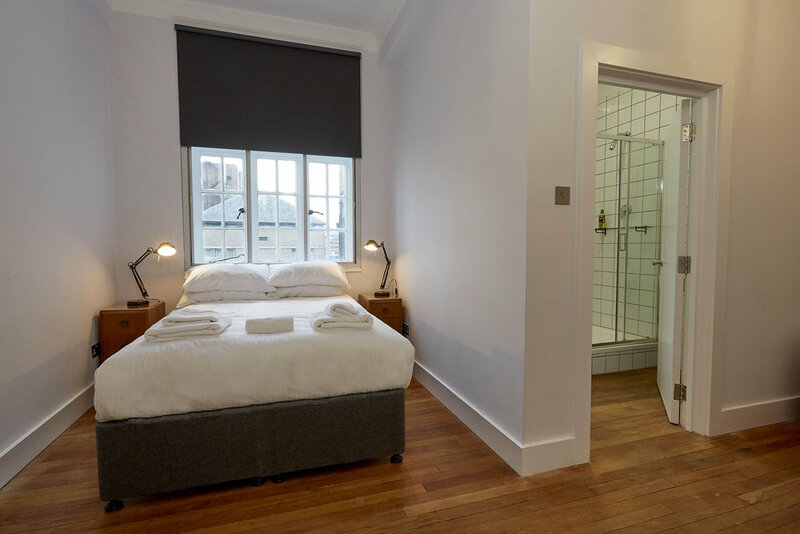 En-suite rooms are similar in size and appearance to the corner rooms but with the addition of a private en-suite bathroom. Our Studio Apartments are set on the lower-ground floor and are ideal for extended stays, artist residencies or families accommodating up to four adults. 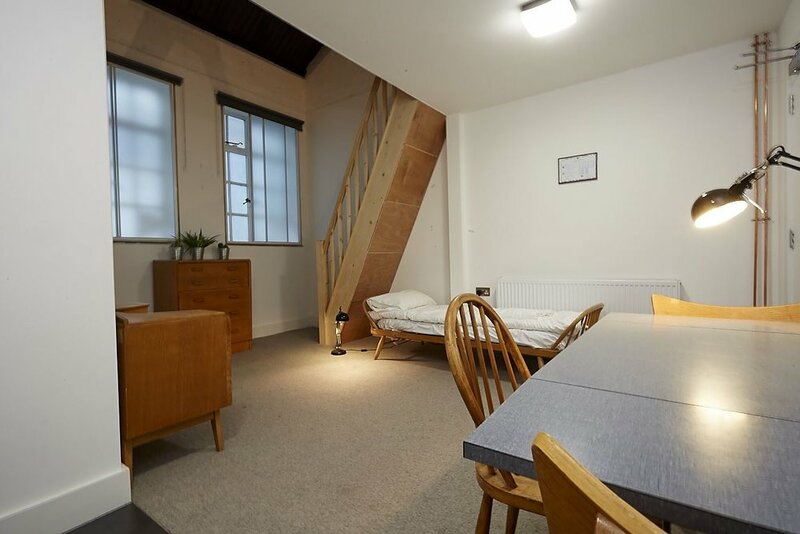 They have a mezzanine, double beds and workspace area plus an en-suite bathroom. Studio 2 has a kitchenette. Two dormitories are located on the ground floor behind the main lobby. 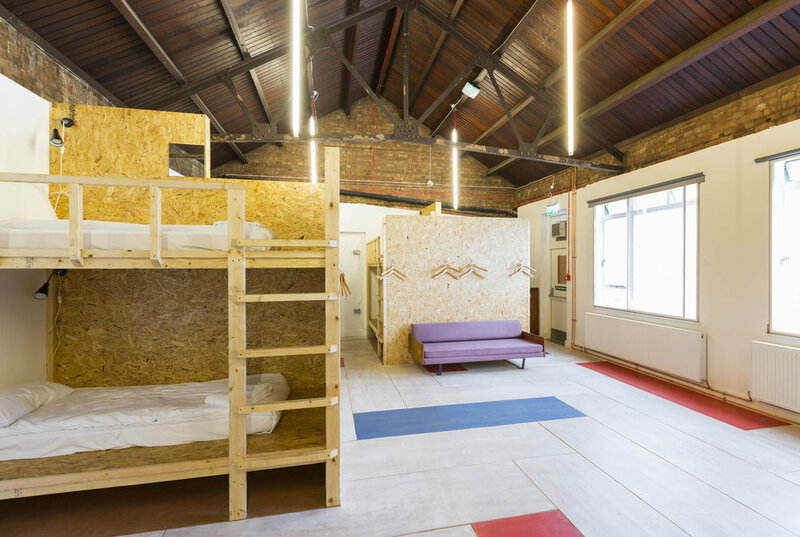 The two dorms (one with 12 single beds, one with 14) are ideal for large block bookings or individuals happy to engage with and meet other guests. Shared male and female bathroom facilities serve the dormitories and there is an allocated storage locker for each guest.